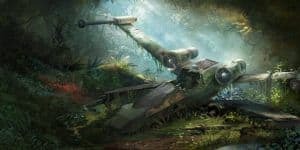 Star Wars: Episode IX Loses Director | Nerd Much? Despite Trevorrow being "a wonderful collaborator" they decided in the end that "our visions for the project differ." Odd, considering that Trevorrow has been working on the film for a full year now. Nonetheless, Lucasfilm promises that they “will be sharing more information about the film soon.” So the film isn’t dead, they are obviously intent on keeping this Star Wars train running as long as they possibly can. That said, this information comes not long after writer John Thorne (The Last Panthers and National Treasure) joined the writing team for Episode IX. The released statement did not mention anything else about the people working on the film at the moment. Which is fine, the larger the writing team, the more likely errors in the script will be caught before filming begins. However this switch seems all the more suspicious when it comes not long after the Han Solo debacle. Phil Lord and Chris Miller were booted off the Han Solo spin-off team back in June, once more citing creative differences. Rumors were abound as to why the change happened, and there was clearly bad blood between the producer Kathleen Kennedy and the directors. Whatever the cause, Ron Howard replaced them and seemed to get along more smoothly with the producer. If nothing else, it seems like the producers at Lucasfilm don’t know what they want and only manage to figure it out after a mistake as been made. Not a good policy in the film industry when even the beginnings of a project is such a huge commitment of time and money.